In this Samsung Galaxy Note7 statement, can you spot what’s missing? Samsung’s new flagship phone, the Galaxy Note7, has a problem. Some of them are exploding. Samsung’s recall statement is very clear, except that something’s missing. It’s short. At only 179 words, it gets right to the point. It’s active and clear. There are no passive voice sentences and no jargon — this statement uses words like “batteries” and “replace” that everyone can understand. There are a few weasel words (“highest” quality, “valued” customers, “thorough” investigation, working “closely”) but after the first sentence, it settles into facts. It quantifies the problem. There were only 35 cases reported globally, out of what are reportedly two million phones. It describes the solution. Samsung will replace the phones. There is an apology. “We acknowledge the inconvenience” is pretty weak, but it’s better than nothing. Most importantly, Samsung is doing the right thing. They’re replacing the phones, even though very few of them are defective, because the consequences are so severe. Did you spot what’s missing? Here’s a hint: like Dropbox, Samsung has buried the lede. If you already read about the problem, there’s no point in hiding what’s actually happening — exploding phones. If you haven’t read about the problem, this statement would completely mystify you (after which you would Google it and see photos and videos of exploded phones). Please treat us like grownups, Samsung. We’ve seen the pictures. Say “fire” or “excess heat” or something like that. It won’t make the problem any worse. Beyond what you’ve seen in the blogosphere, there is no update on the now infamous “flaming notebook” from Osaka. We replaced the customer’s computer and are still investigating the cause. We think it was a fault in a lithium ion battery cell. Dell’s engineering teams are working with the Consumer Product Safety Commission and a third-party failure analysis lab to determine the root cause of this failure and to ensure we take all appropriate measures to help prevent a recurrence. By the way, lithium ion batteries are used in billions of notebooks, mp3 players, PDAs and cell phones these days. See? Calling it a “flaming notebook” doesn’t make it any worse, if it actually is a flaming notebook. Samsung also didn’t tell consumers how to get their replacement (visit your local Samsung retailer, go to this website for instructions, etc.). You are correct. I don’t think they have that figured out yet. The statement does not get to the point immediately. It starts with how good Samsung thinks it is. I would have dismissed the statement as an ad after the first phrase. Perhaps they felt using “and” made the first sentence pertinent. You are right. I suppose I have begun grading on a curve. 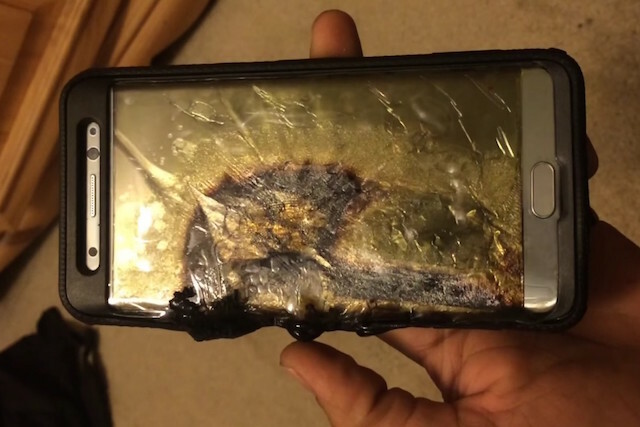 The release should have started with “35 of our new Samsung Galaxy Note7 phones have caught on fire.” That would get your attention!